We anticipate that this question will come up as we introduce solid and translucent shaft and dustwashers for several of Seimitsu's popular joysticks, such as the LS-40, LS-55, LS-56, and LS-58-01. 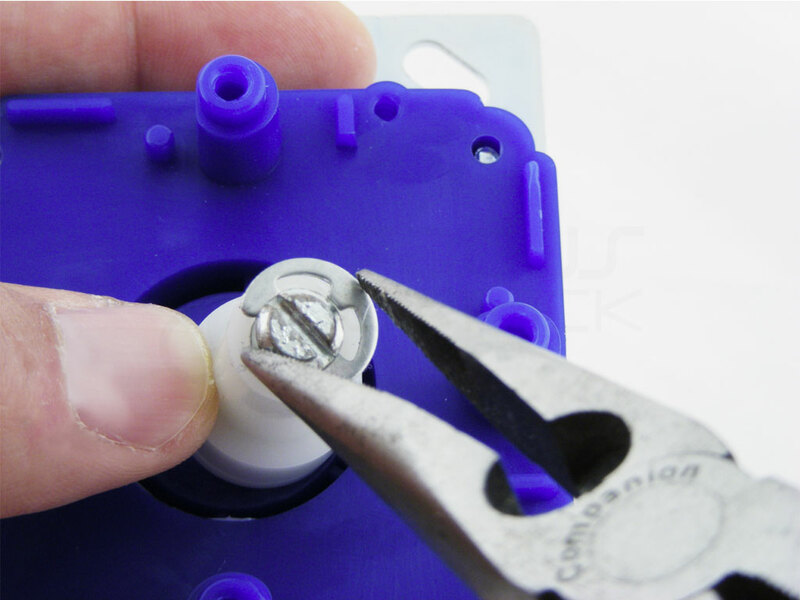 Installing a shaft onto the LS-series joystick isn't as straightforward as a Sanwa JLF. So how do you install it? Note that "-01" represents the 5-pin PCB type. 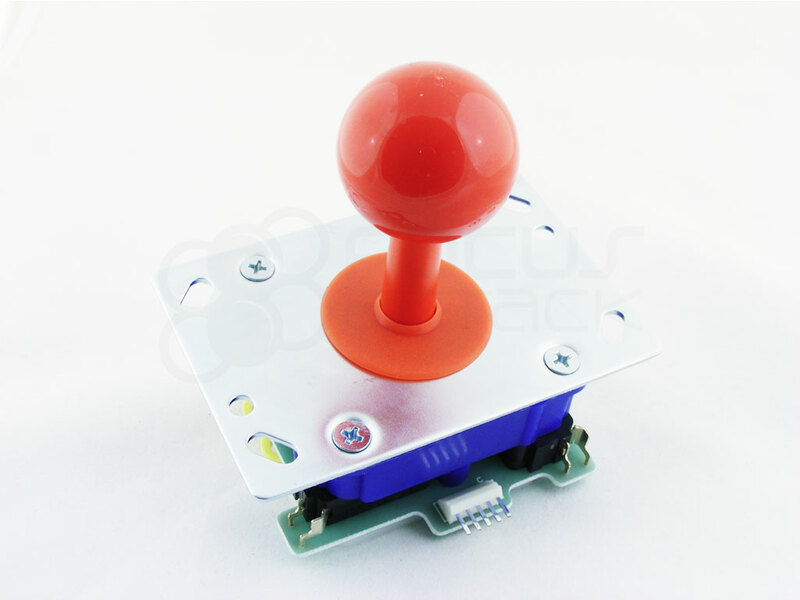 This joystick is often used in most arcade-style fightsticks. Joystick models without "-01" are "fasten-type". 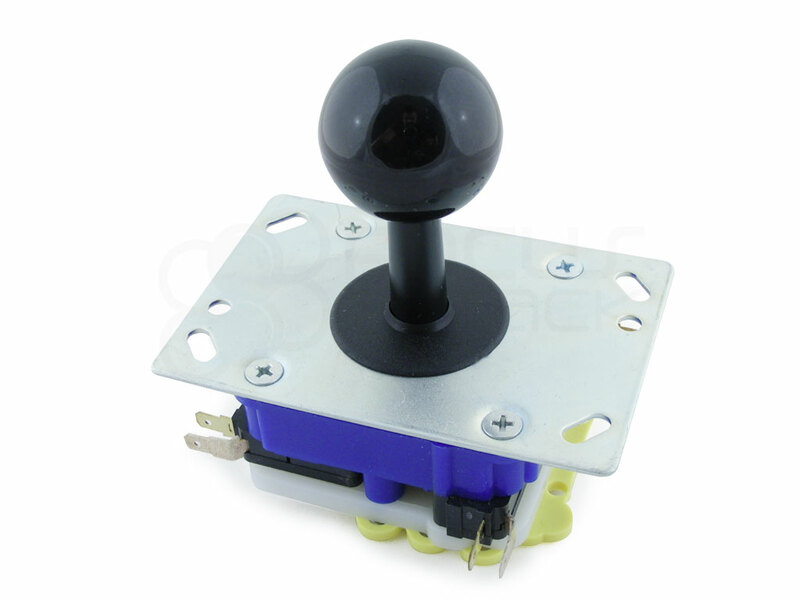 These joysticks are used in arcade cabinets, connected to a .187" quick disconnect. 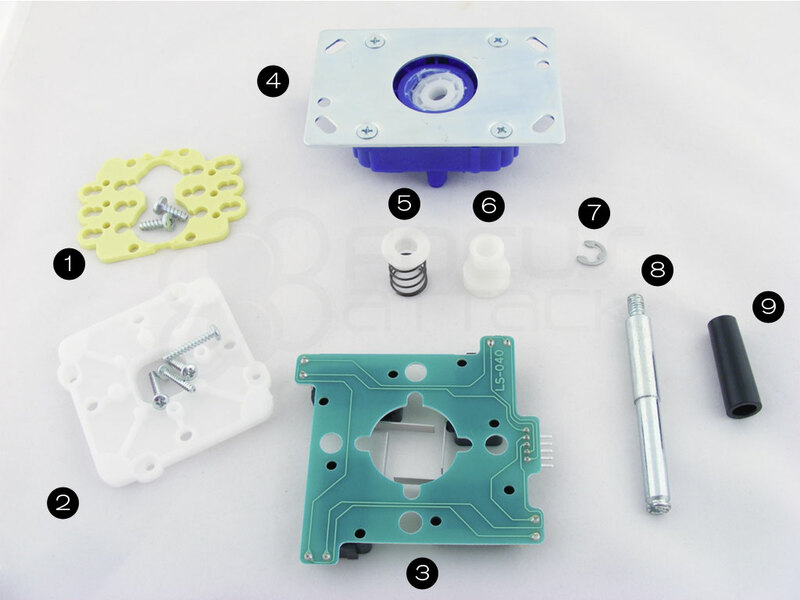 Here is an overview of the individual parts used in the Seimitsu LS-40-01 joystick. Joystick body shown with flat mounting plate and white pivot cylinder. The pivot cylinder sits top joystick grease. 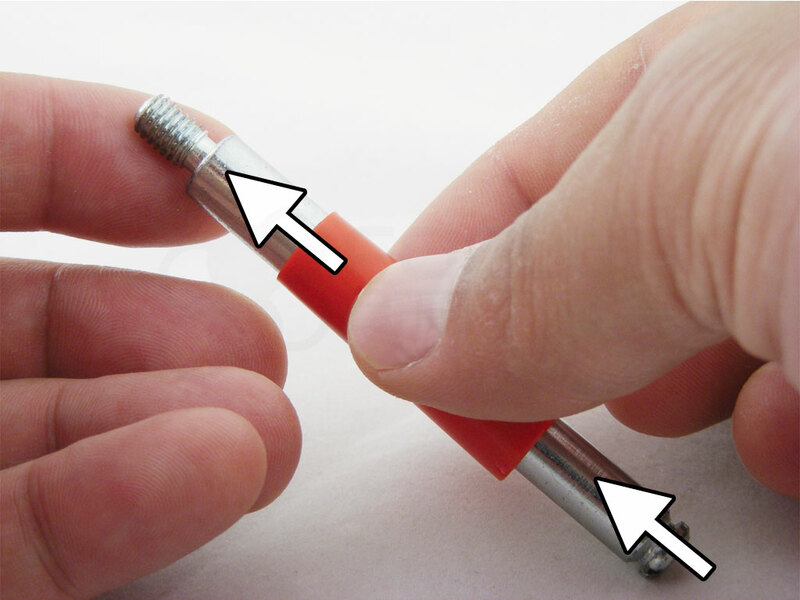 Note: Before starting, remove the default balltop by unscrewing it from the shaft. 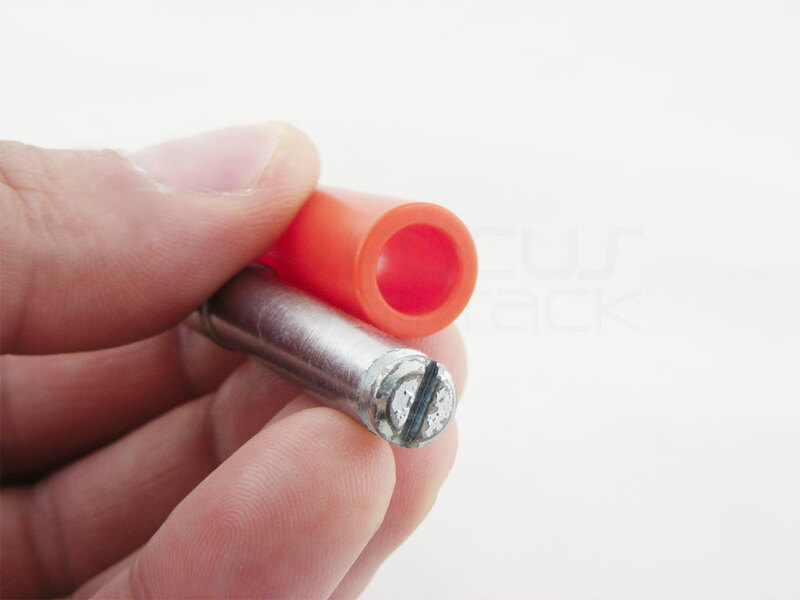 Step 1: Remove the e-clip (#7) by wedging a small flat-head screwdriver into the tiny space between the shaft (#8) and e-clip. Take care not to lose the e-clip. I used a 1.8mm flat-head screwdriver, but anything that can fit into the small spaces left by the e-clip's shape should work. Wedge the screwdriver into the e-clip space and nudge until you can free it. Watch out when the e-clip comes off, however, as it holds the actuator and spring; it may fly off due to the pressure. 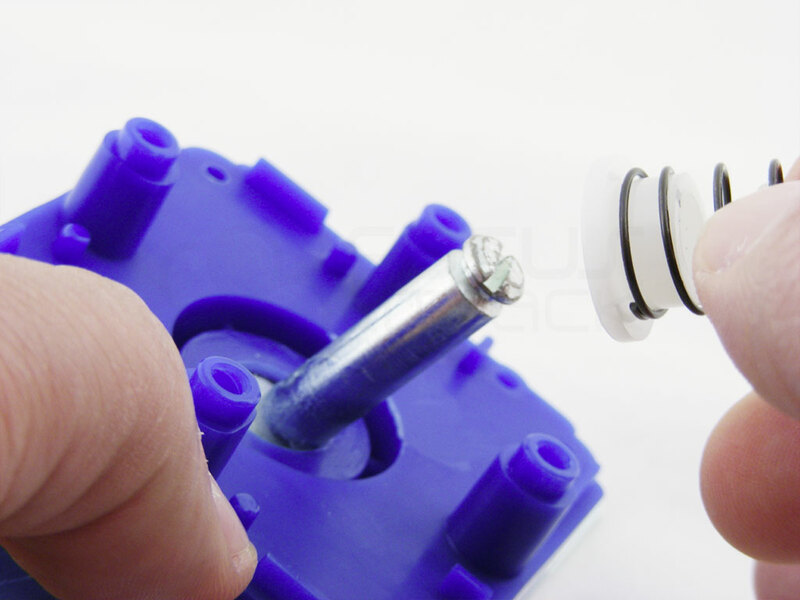 E-clips are small, but critical in re-assembling the joystick. Don't lose it! 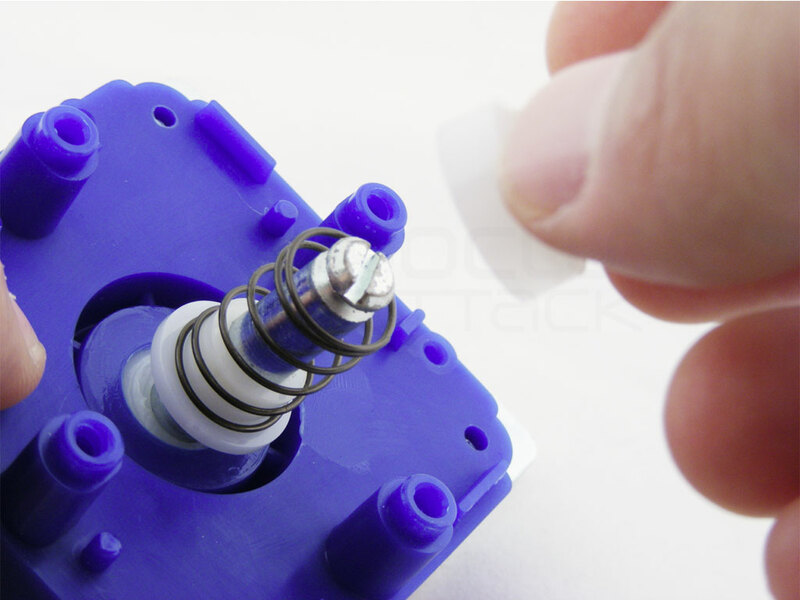 Step 3: Lift the spring and washer from the joystick body to expose the shaft. 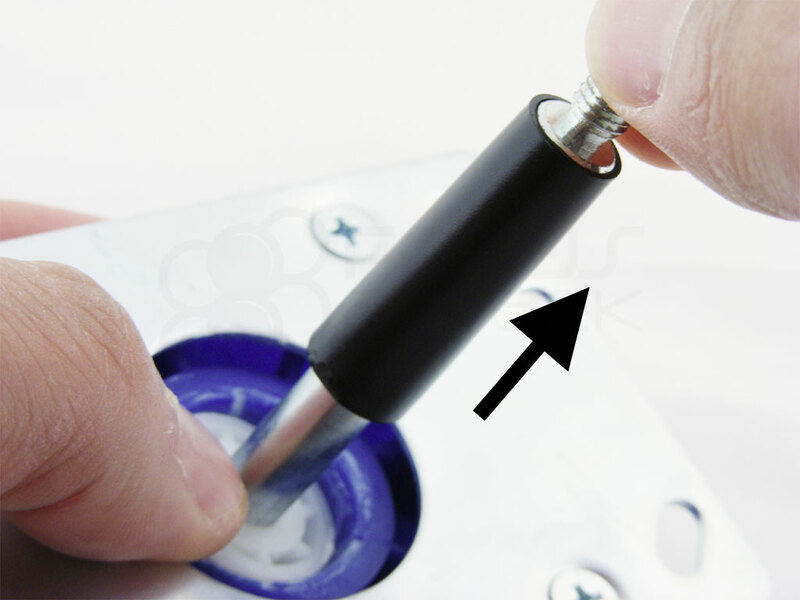 Step 4: With the joystick body flipped over, pull the joystick shaft (#8) upwards. Step 5: Pull the shaft cover (#9) DOWN to free it from the shaft. Step 5: Prepare to insert replacement shaft cover onto shaft. 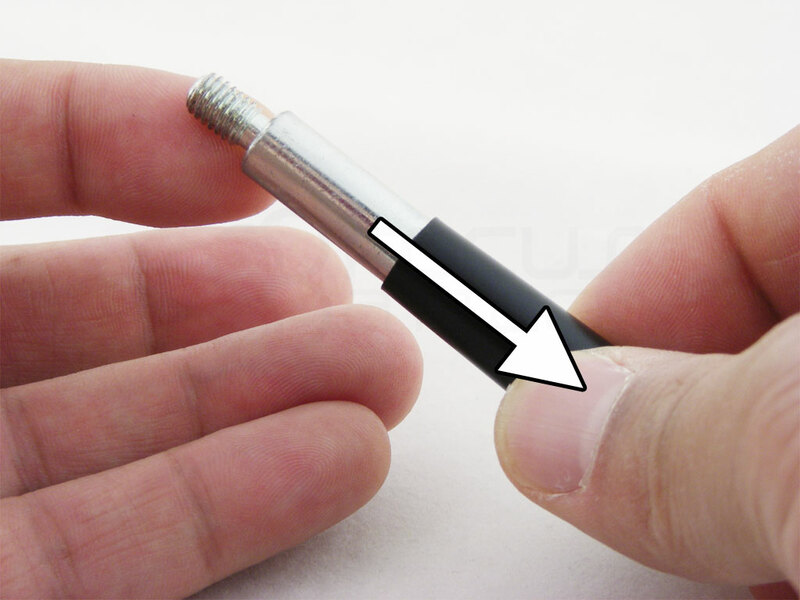 The shaft cover is thinner at the top, and thicker at bottom. This prevents you from installing the shaft cover backwards. Step 7: Insert the replacement shaft cover from the bottom of the shaft to the top. 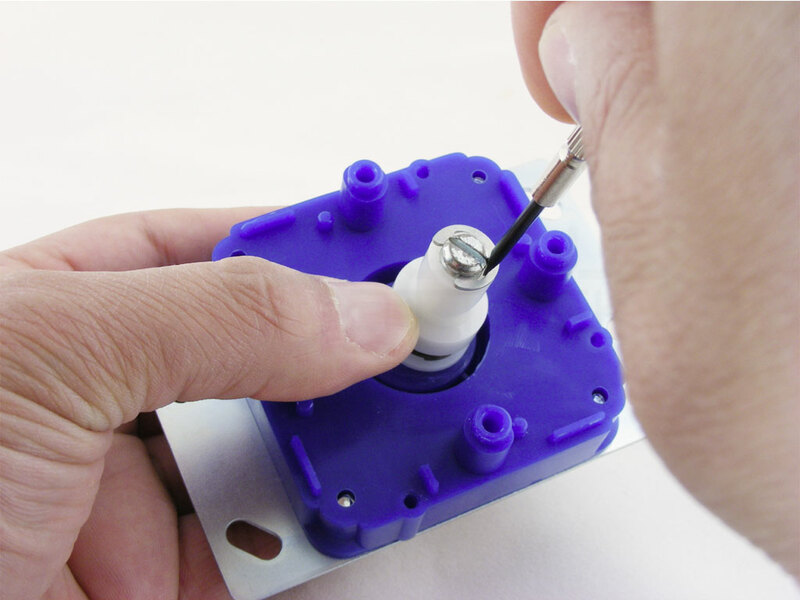 Unlike a JLF shaft cover, you can't insert the shaft cover from top to bottom. Starting with the thinnest end, insert and push the cover up on the shaft. Shown here, I used a needle nose plier and squeezed the e-clip back onto the shaft. This part is a bit tricky. Notice that my finger is on the actuator. It is pushing down so that the spring inside of the actuator is compressed, which allows me to put the e-clip back on.